Sometimes a project comes together after a long, thought-out process. Sometimes it’s serendipity – something you couldn’t plan for just happens and the right things come together. Sometimes it spins organically out of an existing situation, a related set of materials nestled together under a broader umbrella. And sometimes, it’s all of those things … plus, a trip to Chicago, a birthday celebration for an icon and a photo op with one of your heroes. 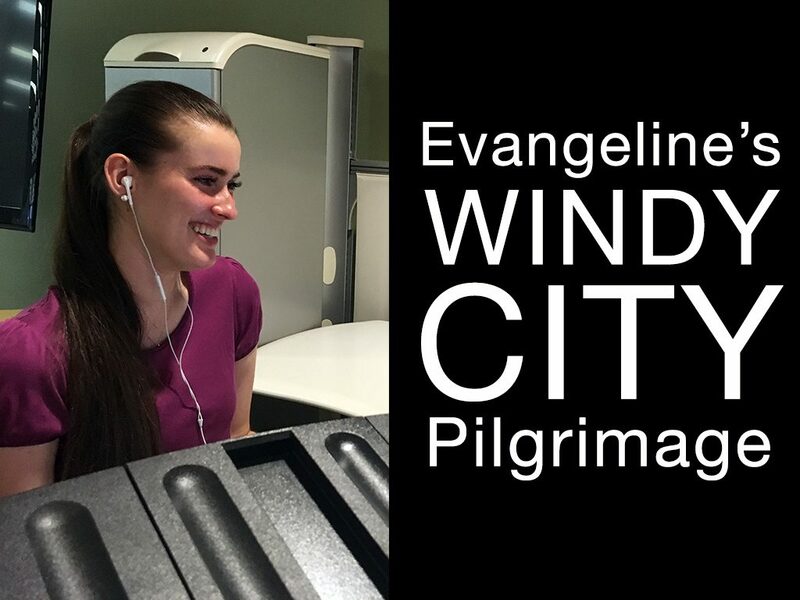 For our graduate assistant Evangeline Eilers, her recent trip to Chicago had its genesis more than a year ago when she began work on our to-be-released Black Gospel Preachers Project. The BGPP began as a spin-off from the Black Gospel Music Restoration Project, now in its tenth year of activity (and freshly installed as part of the National Museum of African American History & Culture). 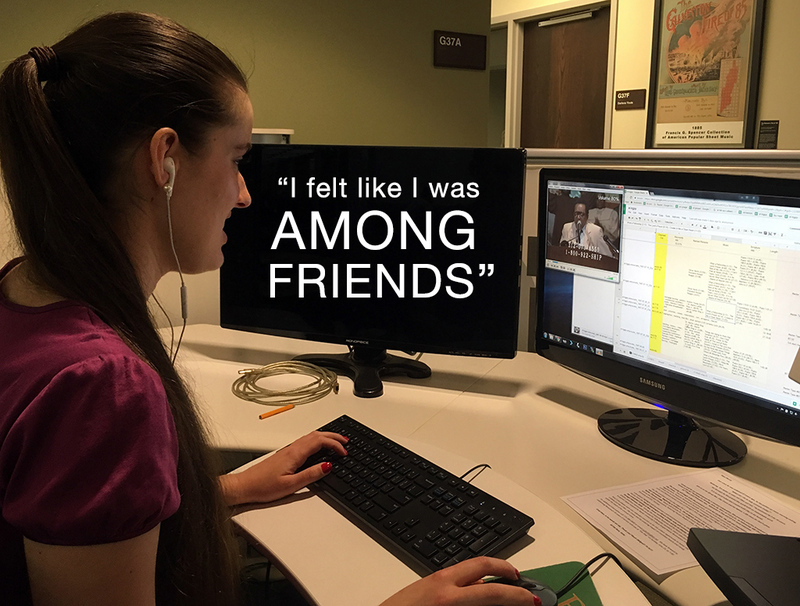 As the BGMRP picked up steam, an opportunity came to us to digitize the videotaped sermons of the Rev. Clay Evans of the Fellowship Missionary Baptist Church. Evans, an influential African American pastor and gospel musician, has been active in the Chicago-area civil rights movement for more than half a century. For decades, Rev. Evans’ lively sermons – which feature passionate preaching, world-class gospel music and inspired testimonials on a weekly basis – have been preserved on video formats and archived at the Chicago Public Library. Through a series of fortuitous connections – and based largely on our reputation for handling the digitization of thousands of black gospel recordings – the Digital Projects Group was approached about the possibility of digitizing these tapes and making them available to the world. As of this writing, the digitization of these sermons is complete, but what came next was the more time consuming part – and the part where Evangeline joins our story. In order to make the videos more useful to our researchers, we knew we needed to do more than simply post them online with a date and a title as the sole metadata. And that meant someone had to sit down and add things like keywords, search terms, scriptural references, song titles and anything else that someone might need to locate in a catalog of hundreds of hours of digitized content. Evangeline began working with us as an undergraduate student in 2015. She’s worked on a number of projects for us, but she immediately clicked with the Rev. Evans videos. 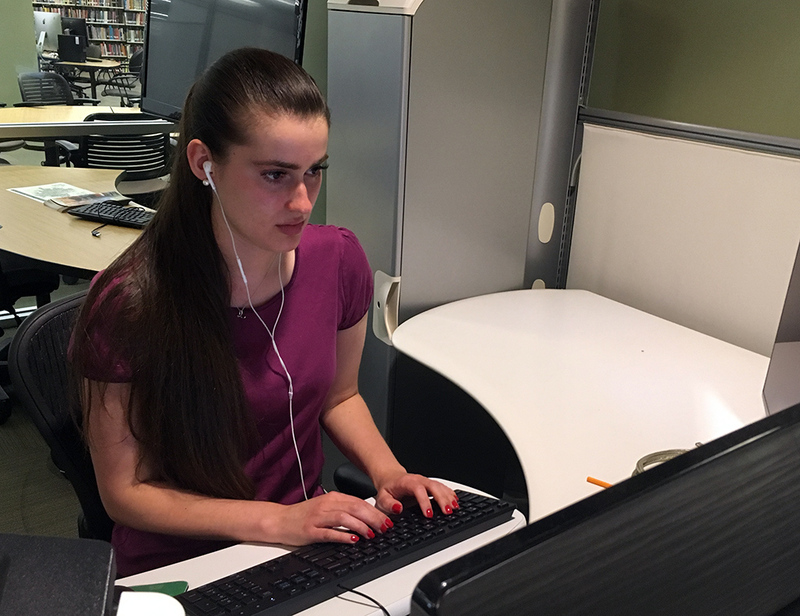 And for the past several months she’s done the heavy lifting on the videotapes’ metadata enhancement process, adding the keywords and info that will eventually make the collection searchable, findable and much more useful to users. An unexpected side benefit of working on the project came about earlier this summer, when Patty Nolan-Fitzgerald – who has known and worked with Rev. Evans for many years – invited members of the RDC staff associated with the project to come to Rev. Evans’ 92nd birthday party in Chicago. This being summer, and with staff being in and out of the office, it turned out our sole representative who was able to attend was (you guessed it) Evangeline! We were thrilled to be able to give her the opportunity to travel as our representative at the birthday celebration on behalf of the university. Being in this space with people I have spent so much time watching on the tapes was a surreal experience but I felt that I was among friends. We joke sometimes that the longer we spend with a project, the more we feel like we “know” the subject of the collection. For example, after I spent months transcribing the audio of the George W. Truett Sermons, my inner dialog spoke in Truett’s voice for a solid month. (I’m not kidding.) 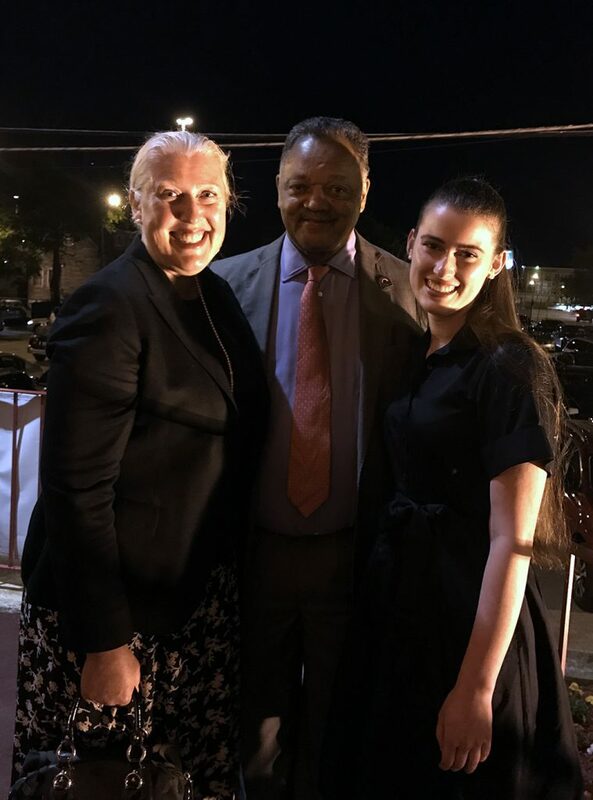 For Evangeline, being surrounded by the living embodiment of Christian service, civil rights and community partnership was a fulfilling – if a strangely unreal – experience. As a history major, being in a room with three notable civil rights leaders (Clay Evans, Jesse Jackson, and Louis Farrakhan) was incredible. I am very thankful for this experience! Overall, it was a night of celebration not just for Rev. Evans but for the collaborative spirit that brought together a nonagenarian African-American preacher, two noted civil rights leaders, a university digitization center in Central Texas and a project to preserve and spread the Word to any who would hear it, from Chicago to the entire world. This fall, Evangeline will begin her graduate work in the Department of Museum Studies, and we were thrilled when she accepted a graduate assistantship that will keep her in the RDC for another year. That means another year of connection with the Rev. Evans collection and – perhaps? – an invitation to a 93rd birthday event next summer, something we’re all eager to celebrate. I absolutely love this! Evangeline was the perfect person to go since she was the one who knew the material the best – and to who it would mean the most. I’m sure she represented Baylor and the RDC well. Thanks for sharing the great work you all do and the care with which you do it. Congrats to Evangeline on getting into the Museum Studies program. This is awesome Evangeline! I love listening to Rev. Evans. So great to be recognized for 600+ hours of difficult and tedious work. You are a champ Evangeline. The whole family is cheering in your success. This is amazing, the Reverend Clay Evans is my preaching hero and I have been wanting to watch the historical worship of Fellowship Missionary Baptist Church. Its a daily routine to listen to Rev. Evans sermons each day, at home, and in my car. I miss church worship services and that sound growing up in the 80s and 90s. God bless you Ms. Evangeline.